What kind of allusion is possible in a poetry derived from a centuries-long oral tradition, and what kind of oral-derived poetry are the Homeric epics? Comparison of Homeric epic with South Slavic heroic song has suggested certain types of answers to these questions, yet the South Slavic paradigm is neither straightforward in itself nor necessarily the only pertinent paradigm: Augustan Latin poetry uses many sophisticated and highly self-conscious techniques of allusion which can, this book contends, be suggestively paralleled in Homeric epic, and some of the same techniques of allusion can be found in Near Eastern poetry of the third and second millennia BC. 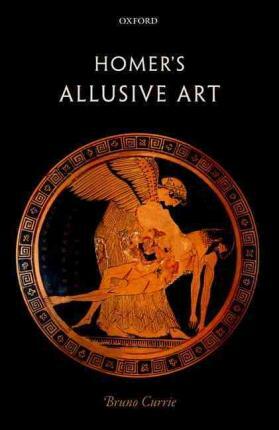 By attending to these various paradigms, this challenging study argues for a new understanding of Homeric allusion and its place in literary history, broaching the question of whether there can have been historical continuity in a poetics of allusion stretching from the Mesopotamian epic of Gilgamesh, via the Iliad and Odyssey, to the Aeneid and Metamorphoses, despite the enormous disparities of time and place and of language and culture, including those represented by the cuneiform tablet, the papyrus roll, and by an oral performance culture. The fundamental methodological problems are explored through a series of interlocking case studies, treating of how the Odyssey conceivably alludes to the Iliad and also to earlier poetry on Odysseus' homecoming, the Iliad to earlier poetry on the Ethiopian hero Memnon, the Homeric Hymn to Demeter to earlier poetry on Hades' abduction of Persephone, and early Greek epic to Mesopotamian mythological poetry, pre-eminently the Babylonian epic of Gilgamesh.